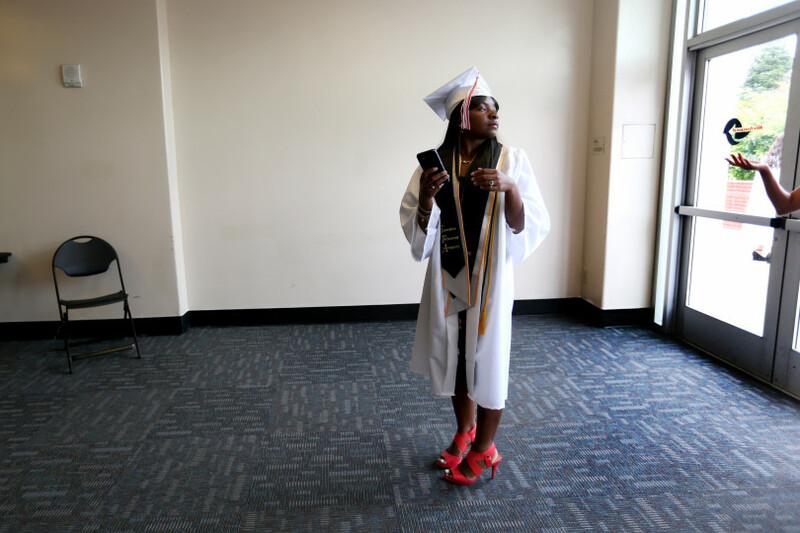 Elexis Webster began her application essay to Students Rising Above by saying, “As a 17-year-old junior with a 4.1 GPA, many wouldn’t expect me to have such a rough life. I grew up on the streets with an abusive drug addict for a mother, along with an older brother who molested me countless times, plus constant sickness. My life wasn’t a life, it was a war zone.” Now this Oakland honor student has overcome her demons and created a path leading to success. Elexis and her family lived anywhere that could count as shelter whether it be a car or a street sidewalk. Because of this Elexis has suffered from a highly compromised immune system that leaves her out of school days at a time and -at one point- led her to the hospital. On top of her internal abuse, externally she was being physically abused. She told CBS 5KPIX, “Just surviving in the household with two monsters, with monsters as a family, surviving in an environment like that and then being able to come out of it,” she said. “I knew I had to make the best of what happened to me.” Her and her sister were left days at a time without food. At the age of 14, the police found Elexis and her sister sleeping in a car during the school day. Her mother was then arrested and her and her sister were placed in foster care with a woman Elexis now lovingly calls “Mema.” When asked about her relationship with her foster mom, Elexis told us, “Mema’s my mom. She’s my mom”. “You have to move on,” Elexis said. “I got to a place where I was able to become motivated to keep going and push for higher than a 4.0 and push to get into a really great college or university”.